The World Wide Web Consortium is an international community in which Member organizations, as well as a full-time staff, and the public cooperate in order to develop Web standards. This consortium is led by Web inventor Tim Berners-Lee, and its CEO is Jeffrey Jaffe. 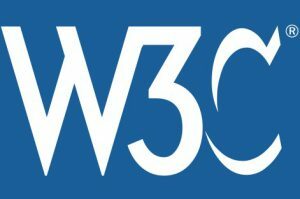 The mission of the W3C is to lead the Web to its maximum potential. Standards of this consortium define an Open Web Platform for development of an application which has the unprecedented potential which allows developers an opportunity to build rich and interactive experiences. These experiences are powered by vast data stores and are available on all devices. Even though the limits of these platforms continue to evolve, it is important to mention that industry leaders agree about the fact that HTML5 will be the foundation stone for this platform. However, the full strength of the platform depends on many other technologies which the World Wide Web Consortium and its partners are developing, such as CSS, SVG, WOFF, as well as the Semantic Web stack, XML, and a variety of APIs. Furthermore, W3C creates and improves these technical specifications and guidelines as well through a process which is meant to maximize consensus on the content of a technical report. This is done in order to ensure both high technical and editorial quality, but also to earn endorsement by W3C and the wider community as well. It is also necessary to point out that the World Wide Web Consortium publishes documents which are important when it comes to defining Web technologies. Therefore, these documents need to follow a process which is designed to promote characteristics such as consensus, fairness, public accountability and also quality. After this process is done, W3C publishes Recommendations which become observed as Web standards. However, it is also possible for W3C to publish and present some other technical reports which are not meant to be standards. In general, these documents do not follow the same formal process as Web standards, and they are published as a part of service to the community.